We have recently updated our website and have added some exciting new features for better functionality! Some of you may be struggling to login to the website since the upgrade, don’t worry you won’t need to re-register, all that is required is for you to reset your password for your account. Alternatively if you’re a new customer, please click here to register. 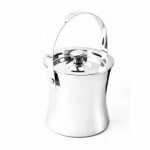 The Ice Bucket has concave sides and is made from stainless steel with a polished finish. This bucket features a double wall construction which offers perfect insulation characteristics and prevents condensation appearing on the outside of the bucket. 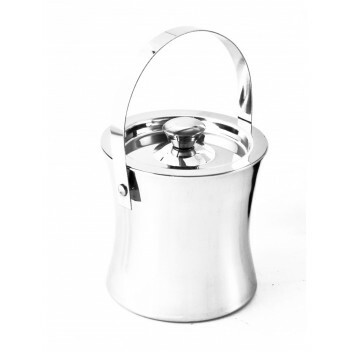 It has a lid and handle. The diameter of the bucket is 15cm. Sold singly. TSI-Group protects our customers and with this in mind we use the Secure Socket Layer (SSL) for all orders placed on our website this prevents you from inadvertently revealing any personal information and uses advanced encryption so that your card details cannot be seen.